Warchild's clearing house of technical, maintenance, and modification info (some of it copied from here with permission). The best USA/Canadian FJR1300 online forum, bar none. A forum in and focused on Australian FJR owners. An excellent Website and message board in the UK devoted to the FJR1300. Probably the most active Web-based FJR online forum. EzBoard, a USA-based online FJR1300 Web forum administrated by Marc Newman. For a large inventory of Harley Davidson Motorcycle Clothing, one can rely on Latus Harley Davidson to fulfill your orders quickly! FJR stuff for folks in the U.K. and Europe. If you scroll down this page past the end of the links on the left, you'll see the recommended links to other interesting FJR-oriented sites. [26-Oct-2006] In the USA the NHTSA has issued recalls for a possible defect in the throttle position sensor on FJR1300 models from the 2003 — 2005 model years: "On certain motorcycles, an improperly designed throttle position sensor could cause an intermittently unstable idle when the engine is at idling speed when the motorcycle is stopped or during low-speed operations. The engine could stall as a result." [25-Oct-2006] A guy named Brian rode his FJR1300 from San Diego to Prudhoe Bay, AK and documented the whole trip from a computer he mounted on the bike. Includes some videos and a blog. [10-Oct-2006] David J. Morrow submitted a page showing how build a custom aux fuel tank for his FJR. [10-Oct-2006] David J. Morrow submitted a page showing how his Givi luggage rack broke. [10-Oct-2006] Mark Johnson has some photos of the 2006 SFO (Southern FJR Owners) gathering. 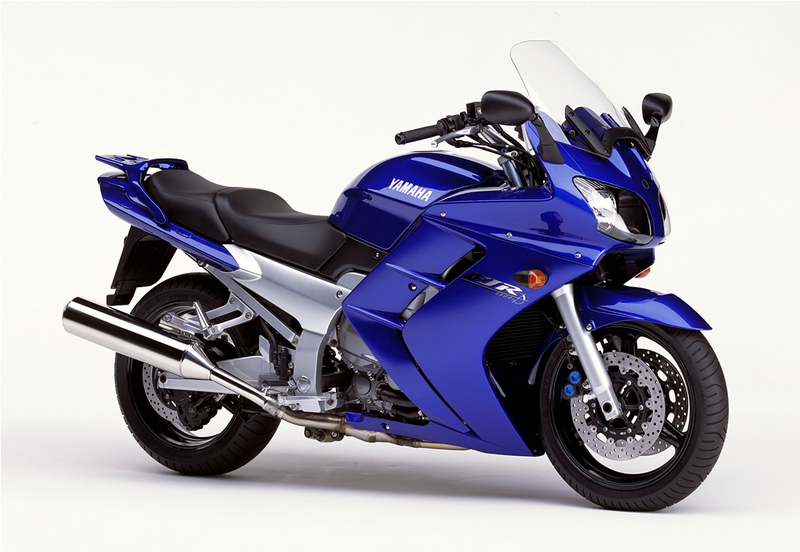 [9-Oct-2006] Yamaha has recalled all '03 through '05 FJR1300 models (Link). On certain motorcycles, an improperly designed throttle position sensor could cause an intermittently unstable idle when the engine is at idling speed when the motorcycle is stopped or during low-speed operations. The engine could stall as a result. 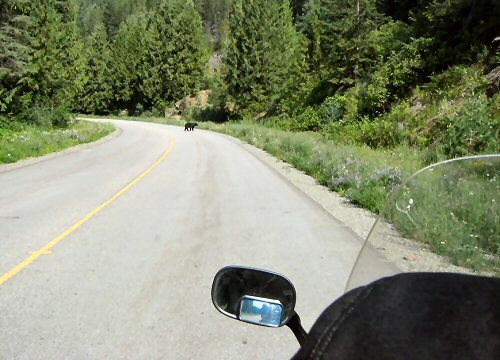 If the engine stalls after the operator disengages the clutch in a low gear while riding, the rear tire might slip momentarily if the operator abruptly re-engages the clutch. 39,000 motorcycles are affected. [22-Jun-2006] Added John Kirby's write-up on installing a Delphi XM Roady on his FJR1300. [16-Feb-2006] Added a dozen of Mark Johnson's custom paint color ideas. [24-Oct-2005] Added Allan Pratt's commentary on getting Yamaha to fix a ticking problem with your FJR1300. [16-Oct-2005] Mark Binstead sent in photos of a pre-production 2006 model FJR1300. [30-Mar-2005] I removed the page for ordering spacers for the FJR's rear shock, as I'm out of stock and the demand doesn't justify making any more. [28-Jan-2004] Gianlorenzo ("Gian") Caccia has some interesting modifications on his FJR Website in Italy. [29-Sep-2003] A very favorable FJR1300 review appeared in, of all places, the BMWSportTouring online forum. 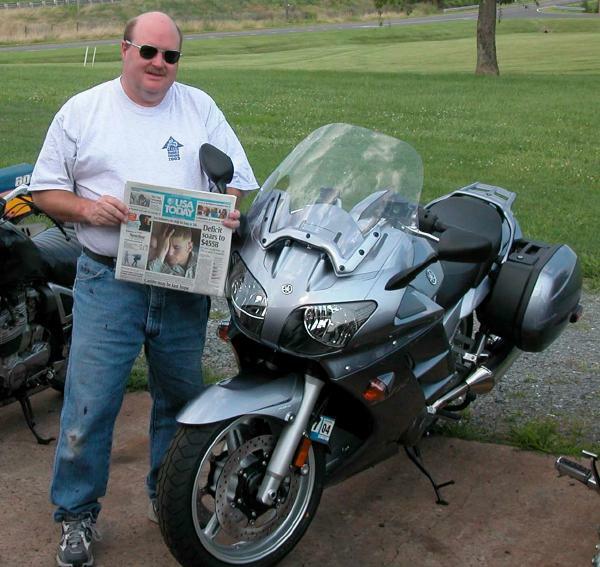 [16-Jul-2003] Frank Clark sent in a photo of his 2004 Yamaha FJR1300 which was delivered to him on July 16th, 2003 in Virginia. 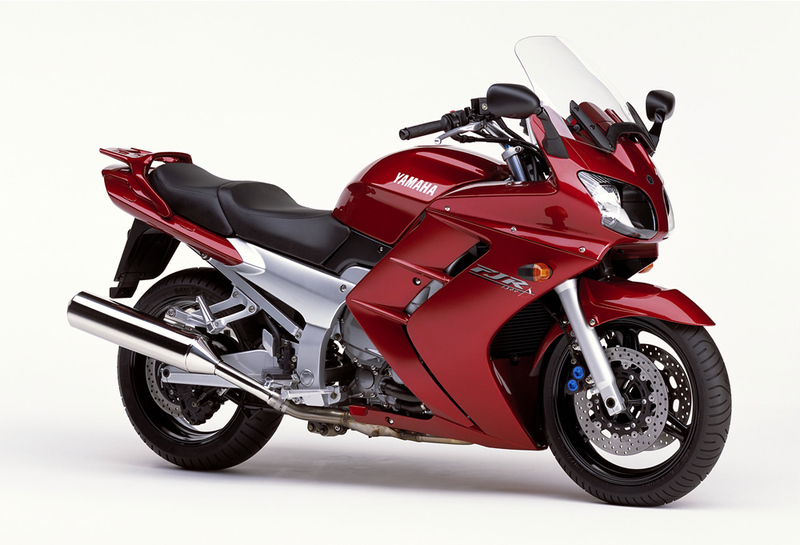 [3-Jun-2003] Yamaha now offers an online parts catalog and other documentation for the FJR1300. Cycle News has a "First Look" at the "2004" USA model FJR1300 w/ABS. The AMA Superbike Website has an article too. I posted some photos and narrative on the Western FJR Owners meeting, in Healdsburg, CA last weekend. It was awesome. Added some photos of the ABS Model FJR1300 for 2003 (European model), courtesy of Joos, owner/operator of the FJROwners Website. Benny Bryant in Alabama has a Web page about his custom painted 2003 FJR1300, and the modifications he's made to it. Rider Report posted a comparo of the FJR1300 and the ST1300 on September 19th. Added a page showing my long backordered saddlebag liners. 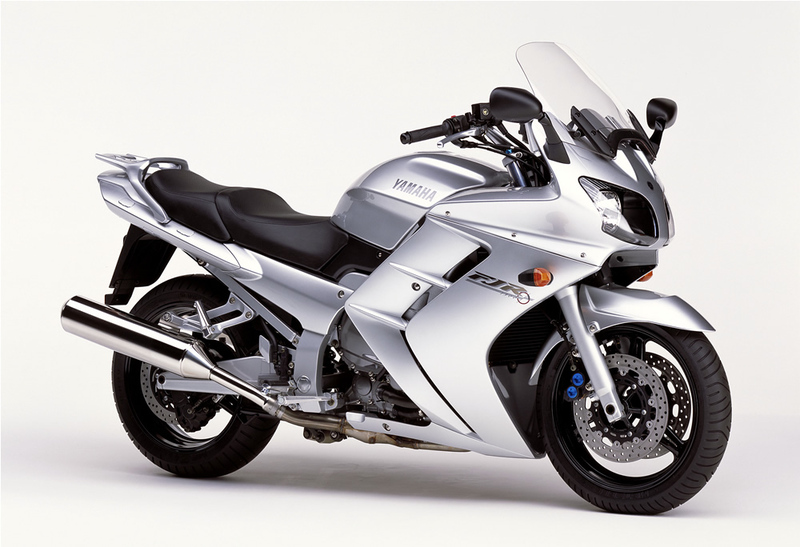 The Japanese Yamaha Website has details of the FJR1300/A and the 2003 model for Europe with many other updates. 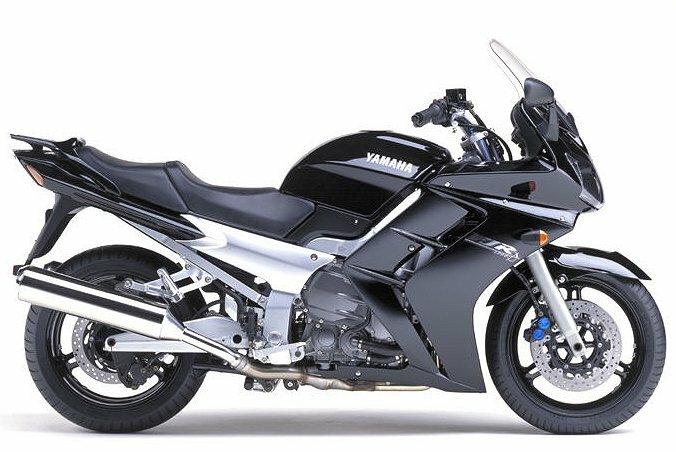 The UK Yamaha Website has details of the "real" 2003 model FJR1300 with ABS" and other changes like a new design windscreen, an immobilizer system, storage box in fairing, larger front disks, easy headlight adjustment, improved suspension, and sleeker integrated turn signals. I took some photos of my FJR in the crate, the evening before I took delivery. And some photos of my first ride, the next day. Photos of what is probably the first 2003 Yamaha FJR1300 delivered in the USA. A short video clip of the Yamaha FJR1300. A copy of the official Yamaha 2003 FJR1300 Delivery Notification letter. MOTOR CYCLE NEWS did a review (June 19, 2002) comparing the FJR1300 to the Honda ST1300 and the BMW R1150RT. The official Yamaha USA Website has a wealth of information about the 2003 FJR1300, including specs, a photo gallery, info about the Priority [early] Delivery program, and some animations. Follow the links (they change every year). A large photo from the USA 2003 sales brochure. Nice photos of the FJR1300 in silver, blue, red and black. The USA will be getting only the silver (initial Priority Deliveries). The 2003 Yamaha FJR1300 product announcement (USA). 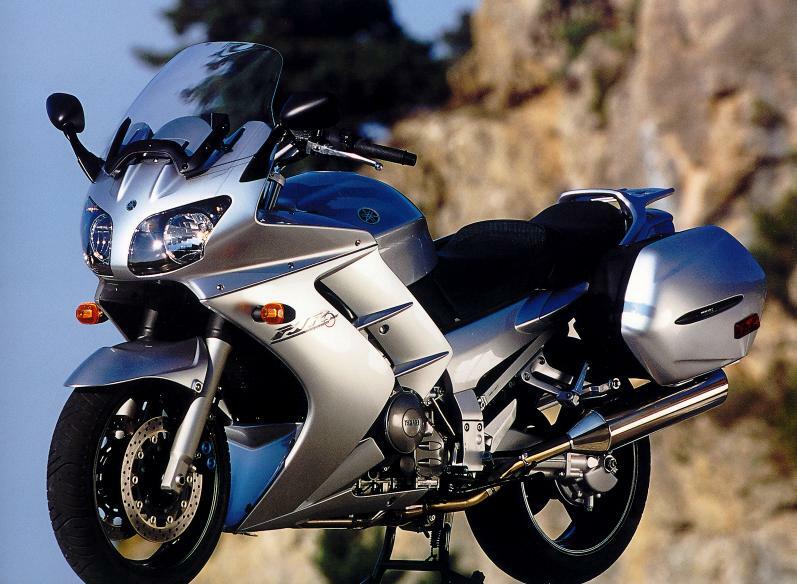 An official-looking 4-page Yamaha FJR1300 brochure in PDF format. 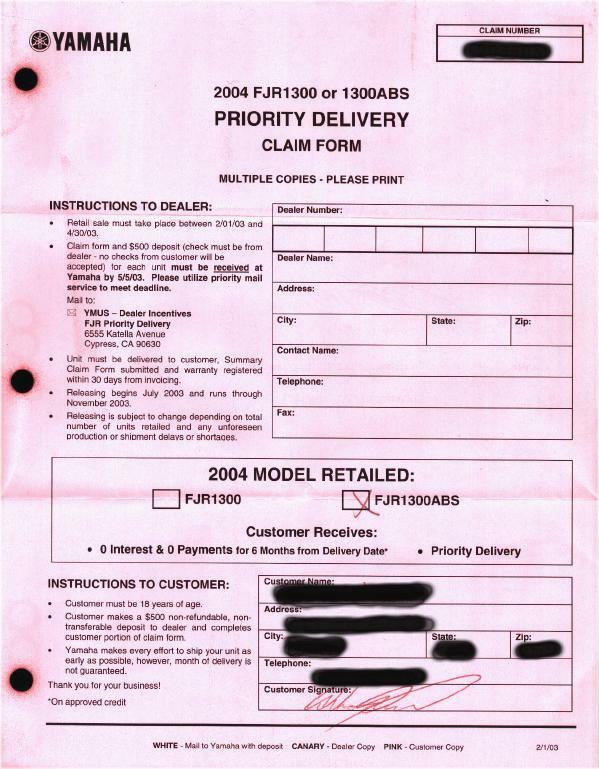 A copy of the official Yamaha 2003 FJR1300 Priority Delivery order form. If you haven't submitted one of these, you aren't in the priority delivery and probably won't get a bike in August. [shown is an actual customer's pink copy, with the personal info blocked out] Note the fine print (e.g. non-refundable, non-transferrable).